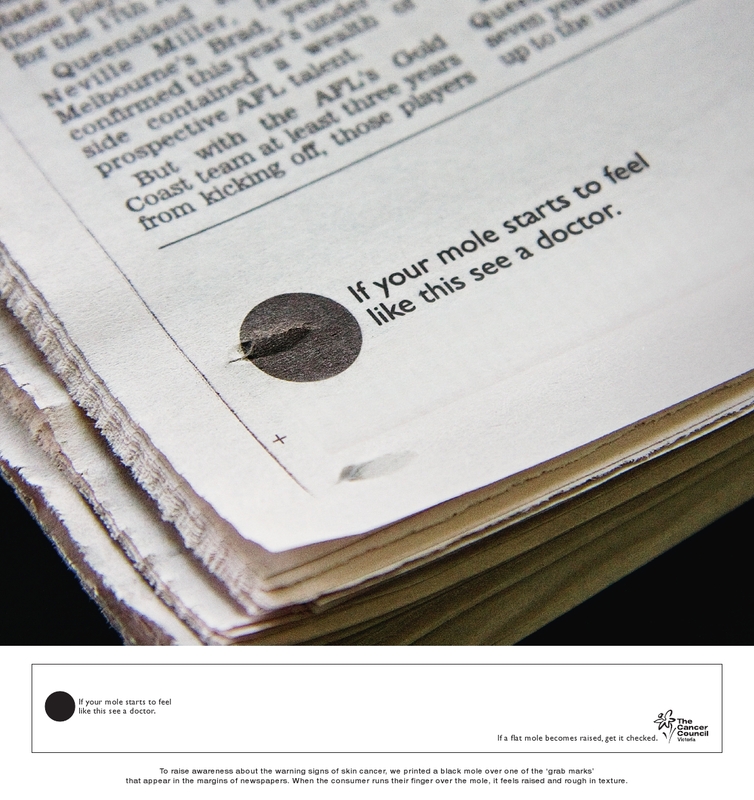 The Cancer Council Victoria commissioned an unusual press advertisement in Australia, with a black mole printed over one of the ‘grab marks’ in the margin at the bottom of the page. When a reader runs their finger over the one of the grab marks, it feels raised and rough in texture. The text read, “If your mole starts to feel like this see a doctor. If a flat mole becomes raised, get it checked.” The advertisement won two Caxton awards for excellence in newspaper advertising in November 2008. “Mole” was developed at The Campaign Palace by creative director Tony Leishman, art director Ben Green, copywriter Pat Lennox, typographer Sam Scherma.